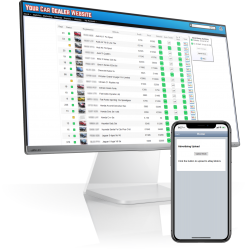 Car Dealer Website is the complete car and van dealer management solution that includes a professional website plus a dealer management system giving you all the tools to help you sell more vehicles and run your business efficiently. 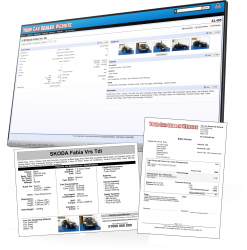 Your website comes with a complete set of tools to make managing your stock quick and easy. 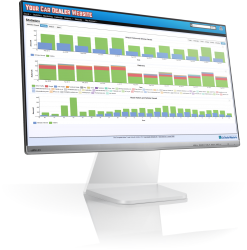 Manage your online advertising from one simple page saving time and making it easy to keep track of which cars are advertised where. Choosing which cars to advertise on eBay Motors Pro, Auto Trader, Facebook Marketplace, Gumtree and Exchange & Mart is as simple as clicking a checkbox. It's quick and easy to revise prices of all stock to be advertised before uploading. Sync advertising at the click of a button, even from your mobile phone. Maximise exposure with Facebook, Twitter & RSS news feed integration. 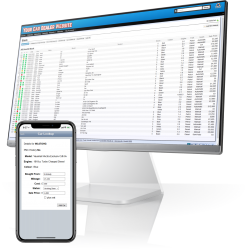 Our comprehensive statistics gives you all the information you need at your finger tips.